For 24 days, an Advent Calendar window will open on one of our Designers’ blogs and you will have the opportunity to win a special Whiff of Joy prize. 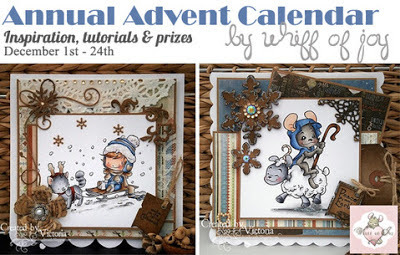 Every day from December 1st to December 24th, go to the Whiff of Joy World of Ideas blog and look for the Advent Calendar posting for that day. 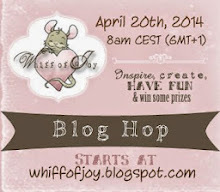 You will be directed to the blog posting of the Designer who is opening the window that day. 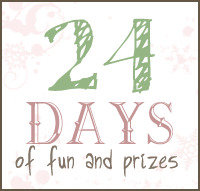 Go to that blog posting and leave a comment and you will be eligible to win the prize for that day! 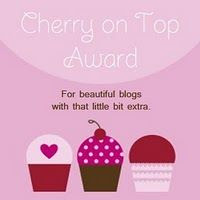 Please help us spread the news by grabbing this logo and linking it to the Whiff of Joy World of Ideas blog and placing it in your side-bar! 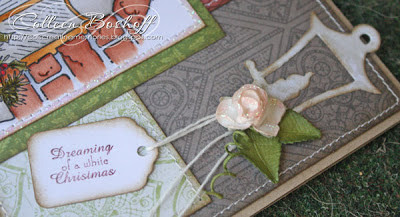 Whiff of Joy's gorgeous selection of christmas stamps makes christmas card making a pure delight and I have another christmas card to share with you today. 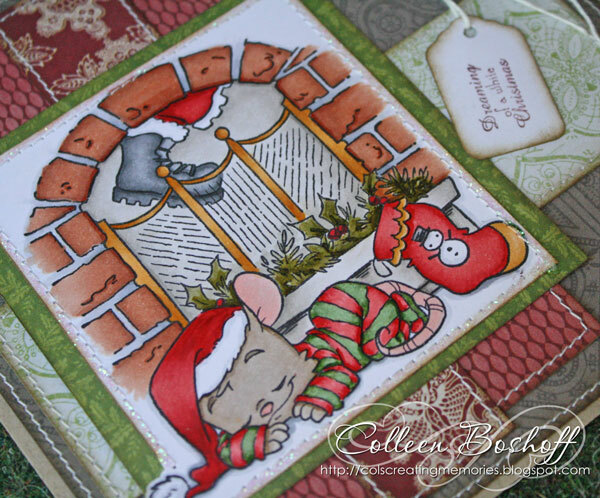 This adorable image 'Infront of the Christmas Chimney' is one of my favourites and is available in digi if you missed out on the Winter Stamp kit. The patterned papers are Teresa Collins 'Christmas Cottage', the image has been coloured with Copics, the sentiment is Whiff of Joy 'Christmas Banners', Whiff of Joy die 'Christmas Duo - Sledge & Lantern' and finished off with a rose and a little bit of Distress Stickles. 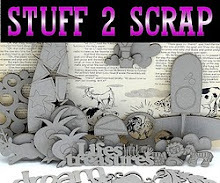 This lantern die is one of my favourites at the moment and can be used on anything, not only christmas! 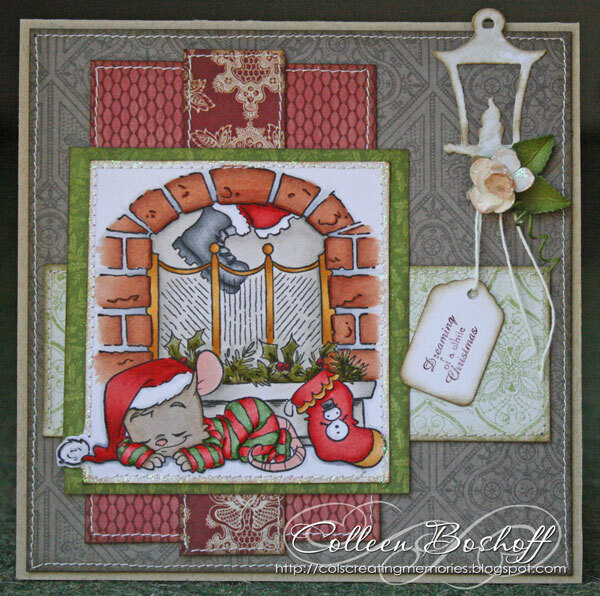 So if you would love to win this adorable image 'Infront of the Christmas Chimney' please leave a comment and I will be back tomorrow with a winner! I love this card and the image is so cute. Adorable image and beautiful card!! TFS! Lovely card ;) Thanks for a chance to win. Wondeful card! so sweet and the colouring is superb! thanks for the inspiration. So cute! I love the details. Absolut cute and beautiful our card! He's so lovely. Cute card. what a lovely card! The lantern with the flower is wonderful detail! your card is beautiful and Henry really cute. Wauw, wat een schatje, wat ligt hij daar lekker te dromen en dan die eigenwijze muts, die piept over het randje heen. Eine wirklich reizende Karte entzückendes Motiv. Wie zuckersüß ist das denn. Daumen hoch. Oh boy! Thi is soo cute. Really beautiful work I love it. Beautiful card with fab colouring of that adorable image...great details! So sweet - beautiful card. What a cute card, the image is so lovely! Thats so lovely :) Beautiful Card!! Your card is so lovely. WoW! What a wonderful cute Card and Henry is sooo cute. Ein wunderschönes Motiv auf einer wundervollen Karte. Beautiful creation! Thank you for a chance to win! Have fun. This is a really wonderful christmas card.Your colouring is so fantastic. Thanks a lot for another chance to win. Wie süß ist das denn? Einfach wunderschön!!! Thats an fantastic christmas card with a very nice image.. great! So cute. Your card is beautiful. Thank you for the change to win this immage. This card is fantastic and very sweet. The scene is gorgoeus. Superb Card. 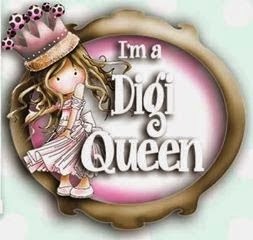 I love this cute image and the sweet lantern die too. This is a wonderful christmas card.Your colouring is so fantastic. Great Christmas card! wonderful colouring. 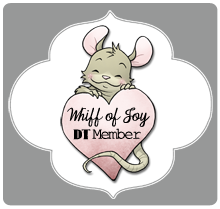 Awwwww such a cute mouse.. Beautiful card..
OMG this is so cute!! I love your card! Thanx for the chance to win this adorable stamp! so stinking cute love him to death have to get him for sure thanks for the chance to win. Oh Sweet, sweet, sweet Card. Wowwww, what a beautiful card an what is the Henry Sweet. So lovely. What a wonderful cute Card and Henry is really so cute. Mooie kaarten maak je ik ben hier gekomen door de calender, ik ga zeker je volger worden. Misschien wil jij ook mijn volger worden. Awww... isn't he so sweet sleeping by the fire waiting. This is darling!